In his State of the Union speech in mid-September, President of the European Commission Jean- Claude Juncker announced an EU-Africa trade agreement under the heading of a “Partnership of equals”. He underlined plans of the EU to reinforce its commitment in Africa, promoting particularly sustainable investment and jobs. German Minister for Economic Cooperation and Development Gerd Müller’s “Marshall Plan with Africa” relies equally on a stronger integration of the business sector into development cooperation. German development cooperation seeks to implement this approach already with its support to the G20 initiative “Compact with Africa”, which enhances private investment in Africa. 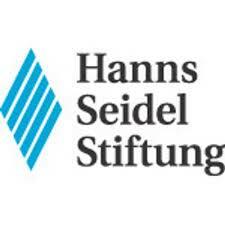 In its cooperation with African partner countries, Hanns Seidel Foundation has been taken the business sector into account for quite some time. Examples are the “Kenya Business Guide”, a platform promoting business creation in Kenya, or the support of young social entrepreneurs in Tanzania. However, key to a better economic development in African countries is the political and social framework. Corruption, dysfunctional administrative structures and bad governance represent still major obstacles to investment in many African countries. These obstacles give rise to difficulties for the countries’ internal economies and deter foreign investors from Europe. European investors face additionally strong competition from China. The African countries will have to opt for responsible and sustainable choices in order to prevent increasing negative effects from environmental degradation and climate change. This conference will put a spotlight on economic opportunities but also prevailing obstacles of a new European policy towards Africa. In its first part, it will discuss perspectives on sustainable economic relations between the EU and Sub-Saharan Africa in general and share the views of African experts from Kenya, Angola and South Africa. Its second part will shed light on Zimbabwe and its opportunities of development that derive from recent political changes. Despite its decades of disastrous economic policies of the Mugabe era, Zimbabwe still has such a large potential of resources and human capital to turn into one of the most potent economic players in Africa. 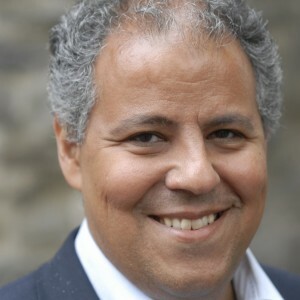 ECDPM’s San Bilal will be a moderator on the panel ‘Opportunities and Challenges of Economic Cooperation with Sub-Saharan Africa’ and a panelist on the panel ‘Zimbabwe after the Elections: Where does the Economy head?’.